The healthcare system in Israel is considered to be among the most effective healthcare systems in the world today. The published results of a survey held by the Organization for Economic Co-operation and Development – OECD, show that the effectiveness of medical treatment in Israel, as well as the level of medical achievements, are above the average western European level. The wide network of preventive medicine, rehabilitation and other medical care services, which are provided in very well equipped medical centers, allow providing full-range and effective health care for the country’s population as well as for tourists who travel with the purpose of receiving treatment in Israel. The best indicator of the high quality medical care in Israel is the average life expectancy in this country, which in the year of 2009 amounted to 80 years among male residents and 83 years among female residents. Israel holds the leading position among the western countries, in the level of survival rate among oncology patients. According to data received from the Israeli Ministry of Healthcare, this number is constantly growing with each year. 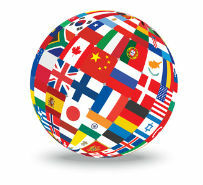 Medical care in Israel complies with the highest world standards of western medicine. Diagnostics and procedures are performed using the newest, most up to date, medical equipment combined with innovational technologies and techniques. Doctors of the highest qualification and advanced technologies are the formula for the success of the Israeli medicine. Another important advantage of receiving medical treatment in Israel is its affordability. 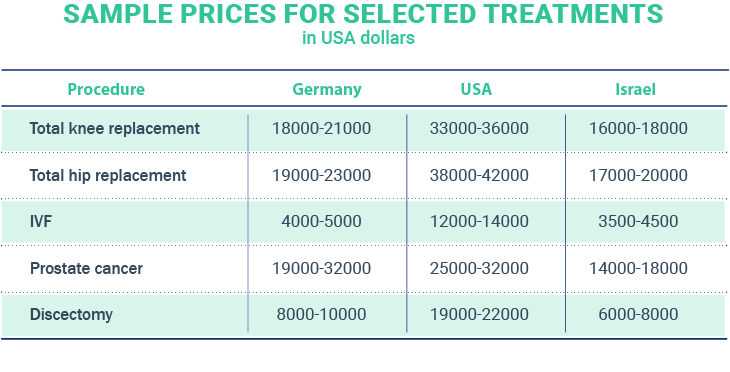 Treatment in Israel for foreign citizens is 2-3 times cheaper than in the USA, and 30-50% cheaper than what tourists are required to pay for similar medical treatments in Germany, Switzerland, France or Austria. Israel is a country with an ancient history and a unique climate. Many patients, as well as the friends and relatives, who accompany them, combine the medical treatments with recreation time in Israel. Israel has a lot to offer in terms of vacation - the possibilities are practically limitless; it could be the spa resorts by the Dead Sea, ancient Jerusalem, the famous city of Tel-Aviv which lays along the shore of the Mediterranean Sea, the popular and favorite, by many tourists from around the world, city of Eilat, which is located on the shore of the Red Sea and much more!